Once upon a time, a promising MMORPG called Dark and Light was announced. The game boasted a slew of innovative features, including a huge 40 square kilometers seamless game world. Unfortunately, developer NPCube and publisher Farlan Entertainment didn’t really have the resources and technology to pull it off. When Dark and Light finally released in 2006, it received exceedingly negative reviews from the press and the public because of countless bugs and glitches, but more importantly it failed in keeping its lofty promises. However, it was not the end. In 2008, Snail Games acquired the rights and slowly started reworking the whole game. After a brief teaser in 2012, Dark and Light unexpectedly resurfaced just a few days ago at the ChinaJoy convention. The game’s lore and setup has also been significantly updated with multiple universes, three races, and a rivalry between the dark and light all setting a new tone for the game. 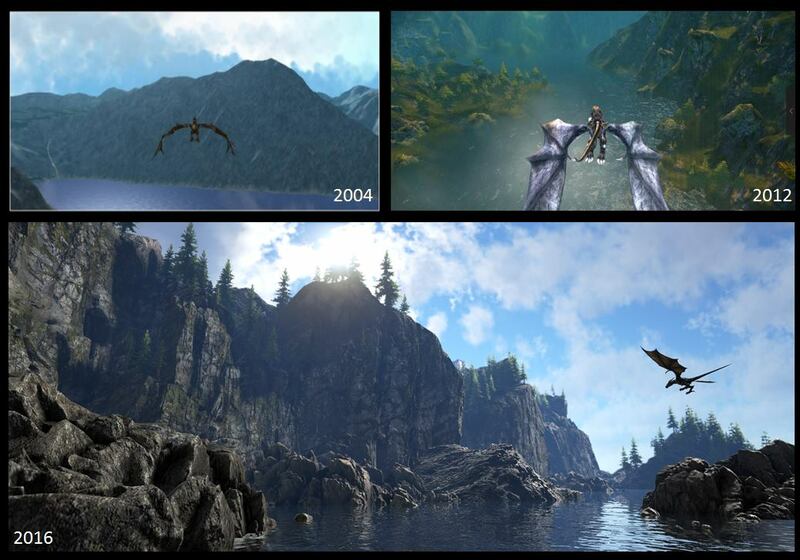 You can check this image to take a look at the graphics improvements over the years. Snail Games also shared a teaser trailer for Dark and Light. We’ll keep a close eye on the development progress, for sure.